This book will take you on a journey through one person’s life of self-destruction caused by an addiction to alcohol and drugs. The voyage begins in early childhood when a curious child becomes an angry and confused teenager with feelings of inadequacy. That teenager tries to find a place where he fits in with the world around him but turns into a full-blown alcoholic addict, full of rage and fear. A great disruption turns the journey into one of soul-searching and learning a new way to live. A life full of fresh beginnings transforms an uncaring, self-absorbed person into one who is compassionate, caring, and empathetic towards others. He no longer has to mask his feelings by using alcohol and drugs but is able to express and work through them by recognizing them for what they are. He learns to do the best he can with what he has and to enjoy life on life’s terms. 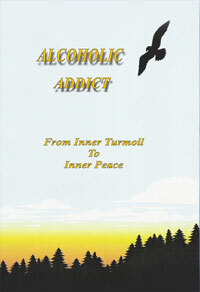 This book relates a simplistic approach to finding inner peace and freedom from addictions. Read an introduction from a friend.